Gucci Mane x “LA FLARE” Ice Cream Dad Hats | sB! 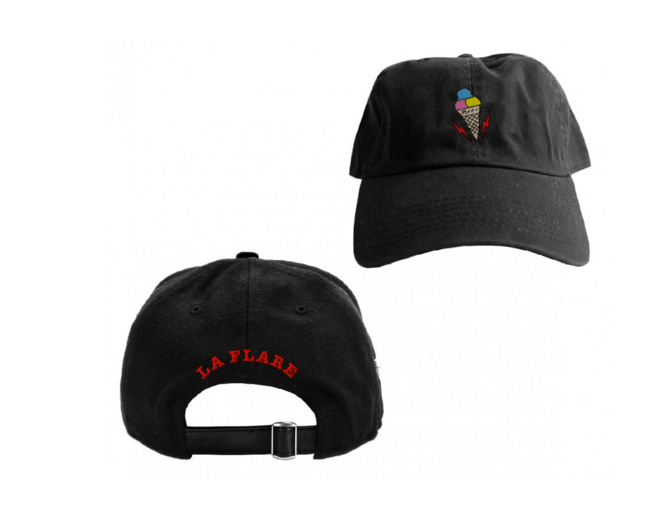 Gucci Mane releases his own version of the popular dad hats with his signature tag, “LA FLARE” and Ice Cream embroidered, available in black and white. Mr. Guwop is preparing to release more merch including apparel and accessories. For now, fans can pre-order the hat for $25 over at the Warner Music Store here, it will official release on September 23rd. This entry was posted on August 23, 2016 by Joey. It was filed under Accessories and was tagged with dad hat, gucci mane, guwop, ice cream, la flare, merch, merchandise.